Our relationship with the USPS® allows us to bring you online postage discounts that aren’t available at the Post Office. 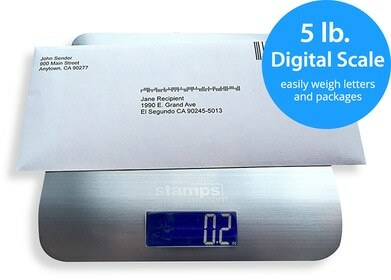 With Stamps.com, you can rest assured that you will be getting the lowest price on your USPS mailing and shipping. Are you paying too much for shipping? If you’re not using Stamps.com, you probably are. Stamps.com customers enjoy discounts of up to 14% on all Priority Mail Express® shipments, up to 40% on Priority Mail® shipments, and up to 28% on First Class Package Service. Stamps.com gives you the world…for less! Save up to 5% on Priority Mail International, up to 5% on Priority Mail Express® International and up to 5% on First Class Package International Service. Read more about International Shipping Rate Discounts. No more filling out forms. No more going to the Post Office. Stamps.com Package Insurance allows you to protect your shipments with a few simple clicks! You’re guaranteed 10% off USPS insurance rates for First-Class Mail® and Priority Mail. With the Stamps.com Professional Shipper Plan, you get up to 40% off USPS insurance rates on most mail classes… bigger discounts than FedEx® or UPS®! Plus, if you ever need to file a claim, you can do that directly through the Stamps.com software. All claims are approved in 7–10 business days. Read more about Discounted Package Insurance. Know when it got there with USPS Tracking. USPS Tracking service gives you the date, ZIP Code™ and time your package was delivered. If delivery was attempted you will get the date and time of attempted delivery. With Stamps.com, USPS Tracking is free when you use Priority Mail Express, Priority Mail, First Class Package Service, Media Mail or Parcel Select Ground. You’ve got better things to do than lug packages to the Post Office. With Stamps.com you can request USPS package pick-ups right from the software. The service is free for Priority Mail and Priority Mail Express. Other carriers charge you a service fee every time they pick up a package (compare to UPS and FedEx).